The wedge is back! Clock-wise flow around high pressure building into New England will help lead to onshore flow off the Atlantic throughout the day. 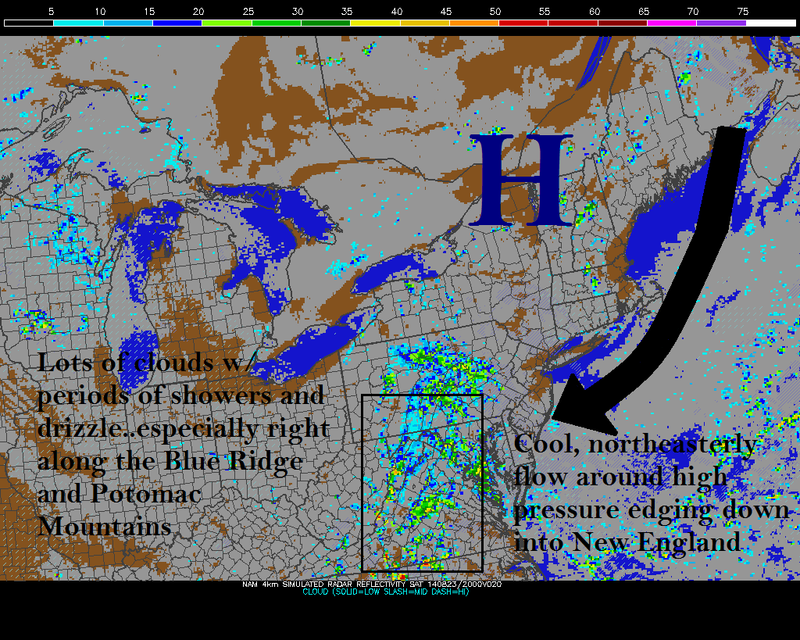 This will result in lots of cloud cover, cooler air, and occasional light rain showers. High temperatures will be stuck in the upper 70s, several degrees below average for this time of year. Overall just a pretty gray day. Conditions will improve Sunday as high pressure crawls further south. This will bring the return of drier air and rid the area of shower chances. Clouds will break by afternoon setting the stage for a very nice next several days. Temperatures will struggle to make it to 80 Sunday and Monday before a bit of a warming trend towards the middle part of next week. In summary, make it through the ugly day Saturday and a few picture perfect days await. Not much has changed with this system since yesterday (still unorganized...still no great model agreement concerning either strength or intensity of the potential soon-to-be-Cristobal). I do expect 96L to be upgraded to at least depression (maybe even tropical storm) status over the weekend as it continues to move over an favorable conditions for development. 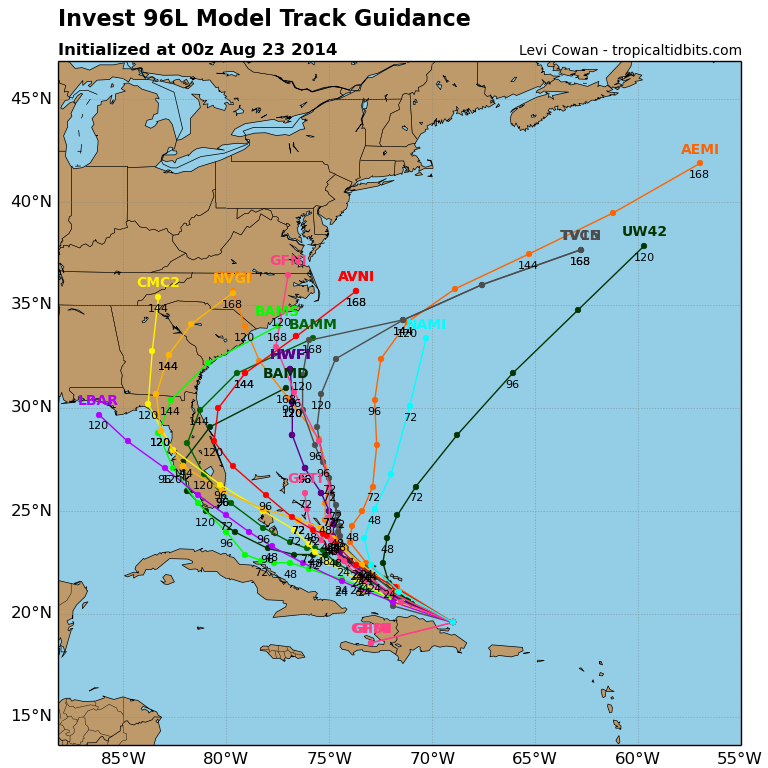 The 00z tropical model tracks are still all over the place. I'm leaning against a US landfall at this point (Probably 80/20 against it). It really all depends on 1) where the low level circulation ends up forming 2) how quickly it strengthens and 3) timing and strength of trough swinging across the east. These variables would have to come together just right to keep this thing on path for a SE US landfall...hence why I think the re-curve out to see is the more likely option. Regardless, will at least see some increased rip current risk along the beaches next week.